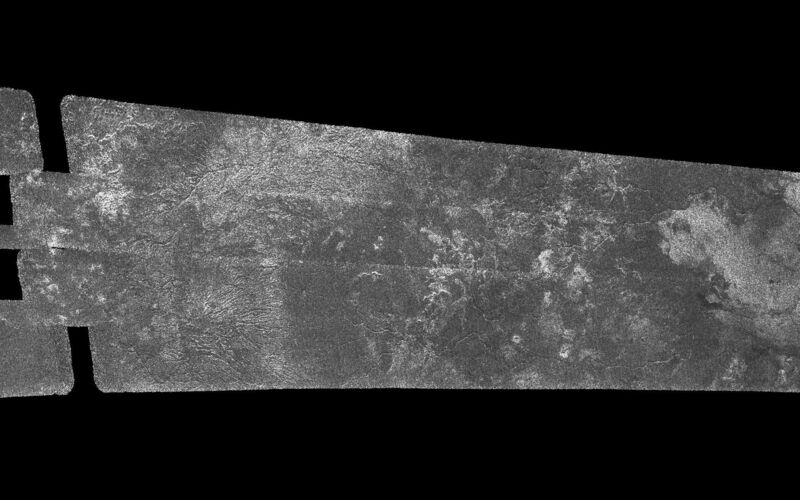 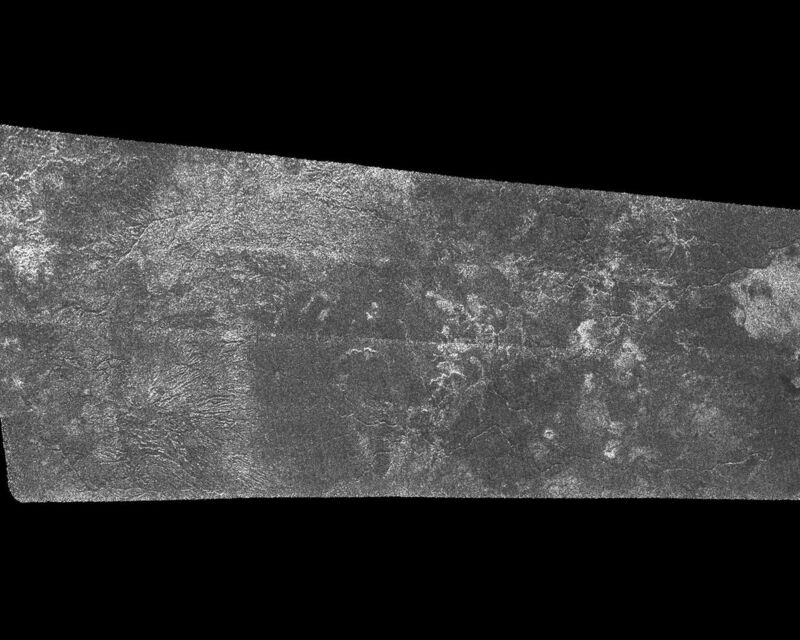 This image was obtained by NASA's Cassini radar instrument during a flyby on Sept. 7, 2005. Southern Mid-latitudes (Central Tsegihi, Mezzoramia). 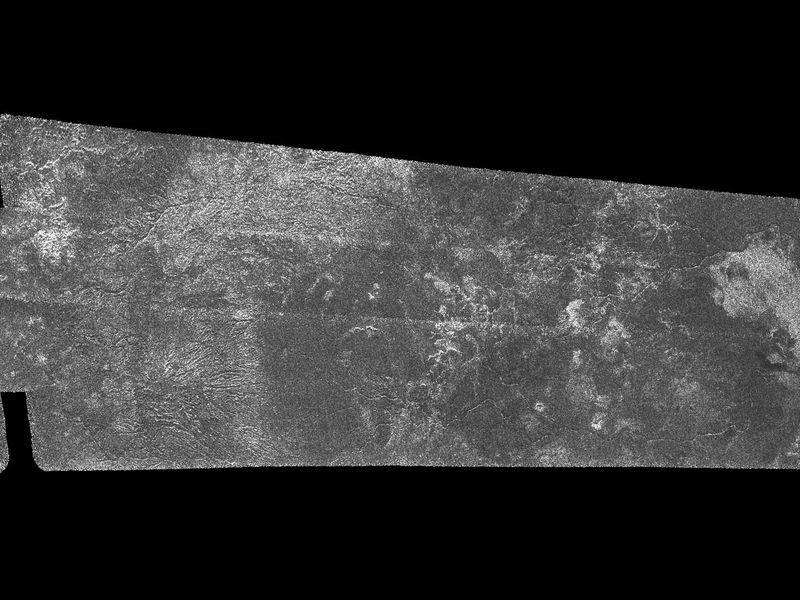 The radar antenna was pointing toward Titan at an altitude of 1,075 kilometers (668 miles) during the closest approach.